When it comes to sharks, tigers are one of the most thrilling species to see. At Tiger Beach in the Bahamas you can come face to face with these magnificent creatures, sans cage, for an experience like no other. Get acquainted with Smiley, Princess, Emma and the rest of the gang with shark guru Gregory Sweeney. Greg’s been running shark trips here for over ten years and knows these guys well, ensuring you can relax enough to enjoy the excitement of every encounter. Trips operate from the MV Dolphin Dream, an 26-metre expedition yacht. An intimate group of ten divers plus crew means you’ll get maximum personal time with the sharks as well as fantastic photo opportunities. Greg is an accomplished underwater photographer and expeditions tend to attract photographers from around the world, so if you want to pick up some tips from the experts this is the place to do it. Tiger Beach trips run in October when tiger sharks gather in large numbers for breeding, but an alternative in March combines both tigers and hammerheads for the ultimate experience. 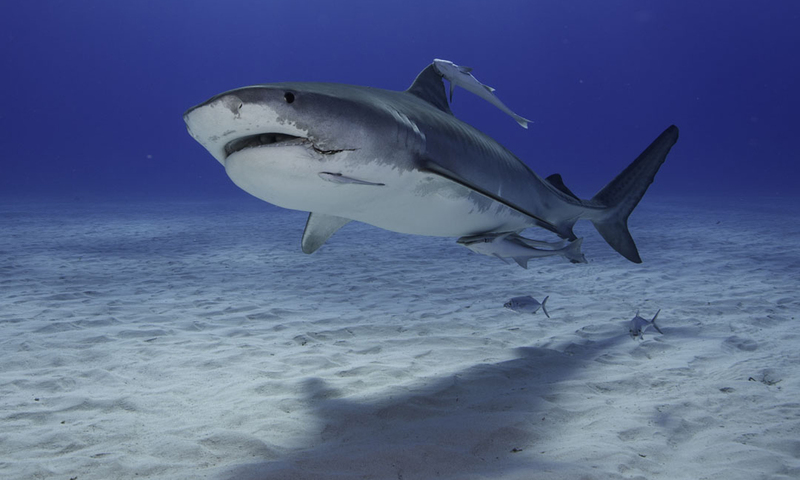 You’ll also see other predators like the lemon shark and graceful Caribbean reef shark. This is a truly unique opportunity to witness these rare and majestic creatures while also understanding and appreciating their vital role in our oceans. Cruises depart from West Palm Beach in Florida. Fly into Miami from where it’s just a 1.5 hour drive to West Palm Beach, or Orlando (2hrs 45 min by car). Prices start at US$3200 per person for a 7 day trip including accommodation, diving (inc tanks/weights/air), all meals and soft drinks. Divers need to be experienced. Dives are long and there are multiple dives each day. No cages involved. These special trips run just twice a year. The 7 day Tiger Beach trip is 12-19 Oct 2019, while the 9 day Tiger Beach & Bimini Hammerheads Trip runs 5-13 Mar 2019.